Your wedding day is one of the most memorable events of your life. From planning the ceremony to finding the gown to arranging the guest list, there can be a shortage of time and energy. You may need help with one of the most important and long lasting decisions you have to make – choosing your wedding jewelry. 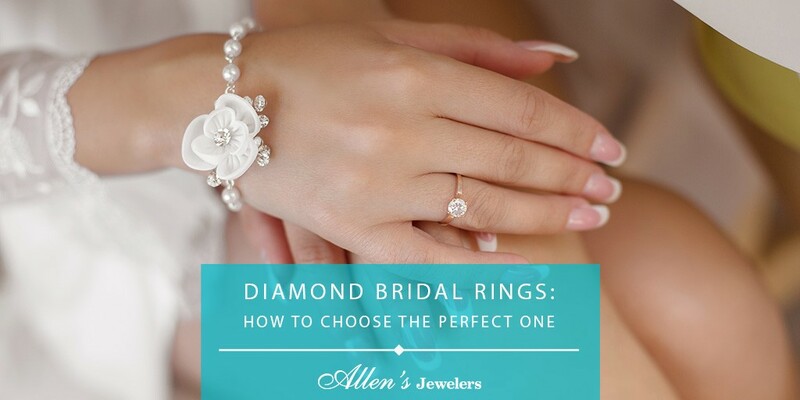 To help make this process easier, the diamond professionals at Allen’s Jewelers share information on the different types of diamond bridal rings and how to choose the perfect one. It all starts with the engagement ring. Choosing the right engagement ring is all about knowing which style fits your hand as well as your lifestyle. 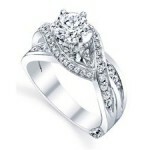 The most traditional style of engagement ring is the diamond solitaire. When purchasing a diamond, it is important to learn the 4Cs before making your decision. interested in a different style ring that fits your needs. An engagement ring with a smaller center diamond and a few accent diamonds or even different metals such as platinum may be right for you. 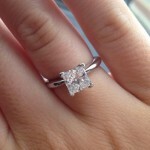 Visit Allen’s Jewelers to talk to our Diamond Bridal Rings Professional and see our current selection. 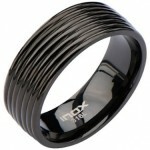 The wedding band is the ring that signifies not just your love, but your commitment to each other – the marriage. In modern times there is a lot more of a selection for both women and men who are looking for a more unique wedding band. From wedding bands with a unique design, accent diamonds, other stones or metals, to matching wedding bands Allen’s Jewelers will make sure you have the perfect combination to compliment your engagement ring. While looking at wedding jewelry options already available, you may find something you like but not love, or you may find a ring that could be upgraded to make it special for you. Allen’s Jewelers understands you want a unique ring you absolutely love that is crafted just for you. Whether you are looking for a beautiful bridal engagement ring, or a memorable and unique wedding band, our Master Jeweler will work with you to create a wedding ring that symbolizes your love and represents your style. From being a part of the ring’s creation, to including family stones, there are many reasons for custom wedding ring design. Allen’s Jewelers also carries a selection of beautiful bridal jewelry by First Image Design. First Image Design specialize in all bridal jewelry and now is also the leader of fancy yellow jewelry, even referred to as the “Kings of Fancy Yellows” by some. As one of the country’s leading suppliers of diamond and colored stone jewelry, First Image Design is committed to excellence and quality. The main lines are: Fashion, Fancy, Yellow and Bridal. 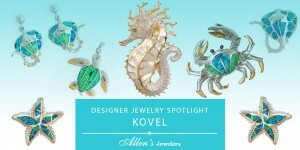 Visit Allen’s Jewelers to pick out a unique and special ring from First Image Design. 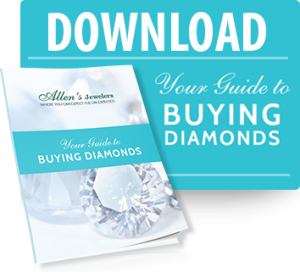 Download our Diamond Buyer’s Guide for more information on how to go about selecting a diamond.